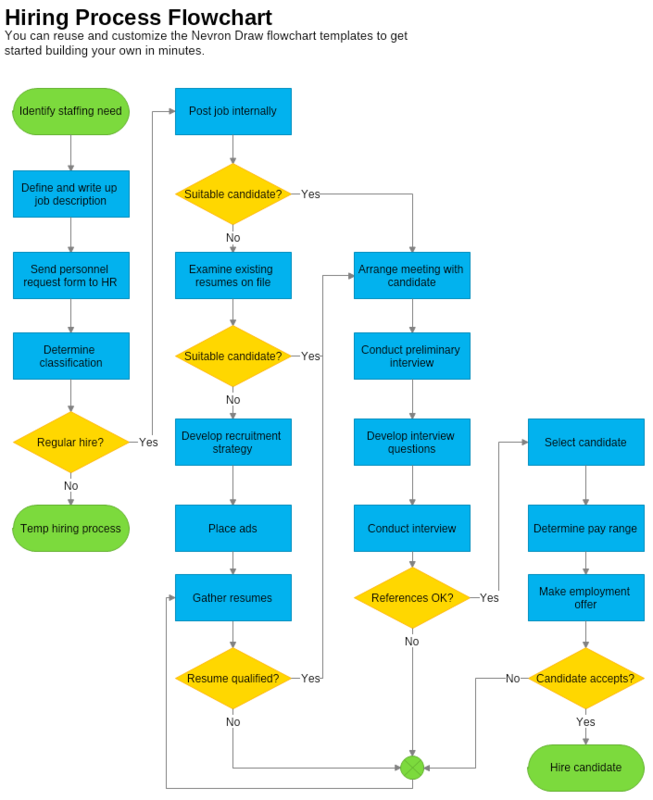 The Hiring Process Flowchart is a type of diagram created to help ensure the HR department of an organization follows a strict procedure when recruiting new personnel. Since the employees of a company are an important ingredient of the overall success of any organization, observing the Hiring Process Flowchart is also an important part of the HR department’s daily tasks. Download this free Hiring Process Flowchart and adapt it to the needs of your firm to secure that any new staff member is the perfect candidate for the position.